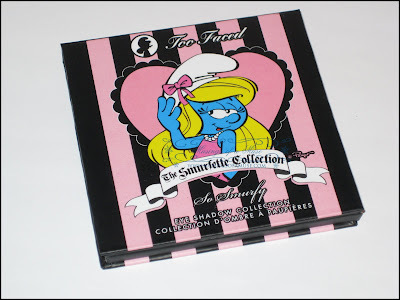 Too Faced Smurfette Collection Review, Swatches, Photos. 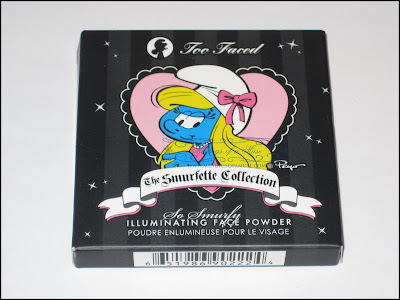 The Muse is still musing over whether she loves Too Faced Smurfette Collection or if she isn’t quite feeling it. 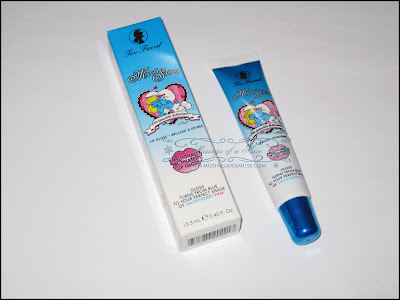 She’s had her stash of the Too Faced Smurfette Collection since it’s release a few weeks ago and has been busily playing around with it, testing it, swatching it, and musing over it for the better part of a week and a half. I didn’t want to post my first impressions before actually using the items so today I’m doing a full review of the entire collection. 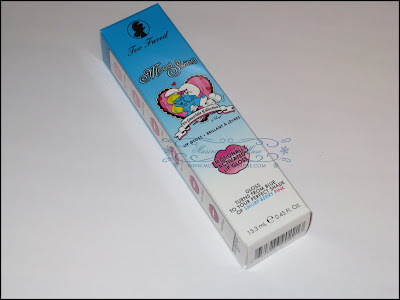 Sit back, grab a cuppa tea, and read on…..
To begin I will say I simply adore the packaging. 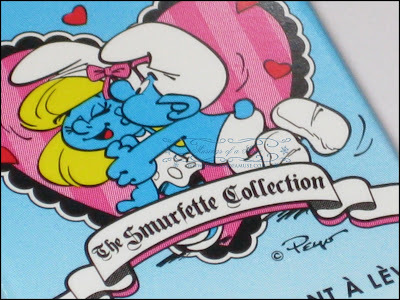 I’m a child of the 80′s so I can completely appreciate “smurf” themed makeup. 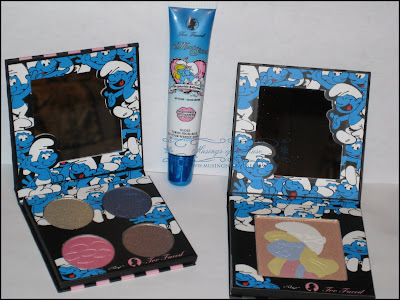 Call it childish, immature, whatever you will but the fact of the matter is that I simply adore kawaii cosmetics and Too Faced Smurfette Collection brings cuteness to the table. The collection consists of an eye quad, glitter liners, a highlighter powder, and a new lipgloss. I indulged in everything aside from the glitter liners as I have a ton already which I hardly make use of as is. 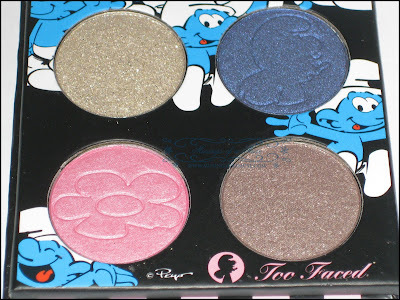 The Too Faced So Smurfy Eye Shadow Palette is probably my least favorite item in the collection because it was simply too difficult to work with in terms of formula, texture, and colors. 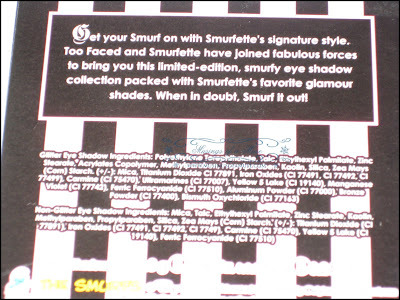 I guess I shouldn’t expect too much from a “smurfy” eye palette right? This was a strange cocktail that the Muse had a hard time trying to figure out what goes where and what sort of look would come out of it. 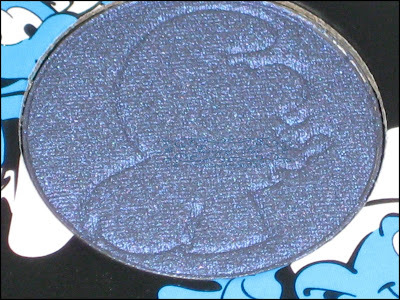 In the end I created a “smurfy” look and a more natural, shimmering look by using separate color combos (I actually liked the shimmering look the best!). I’m not sure what they were thinking exactly but it was seriously brain surgery for me to think up some way to use the shades in the palette. 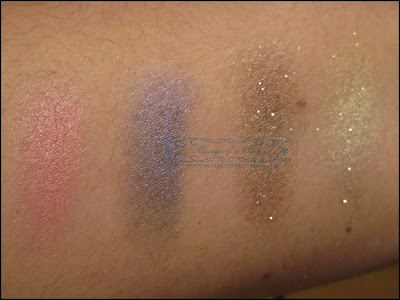 The colors included were a bright matte pink, a bold navy blue, a shimmering, glittery gold, and a glittery deeper pink almost brown shade. After much thought I decided to wear the pink on my lid and the navy blue as a liner for the bottom lash line…I honestly wasn’t sure how else to pair the two up? Was I supposed to wear the blue on my lid? 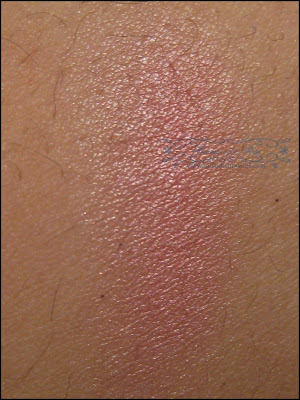 Should I have applied the blue in my crease and the pink on my lid? I haven’t a clue but after much playing around the best possible look (which isn’t even that fab anyway) was applying the blue as a liner on my bottom lash line. 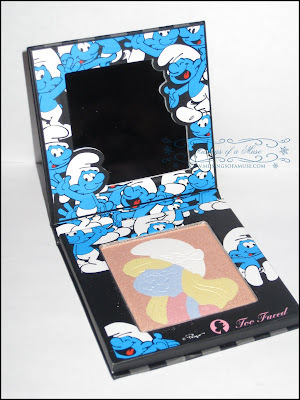 The full Smurf look using the palette, lipgloss, and highlighter! 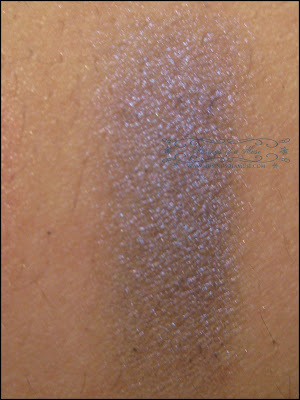 A partial smurfy look using the gold glitter shadow and highlighter! 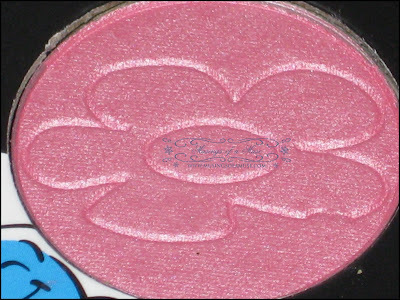 The pink and blue shades were difficult to blend for me but this probably isn’t at any fault of the formula, the Muse just happens to be a retard when it comes to blending matte shades. 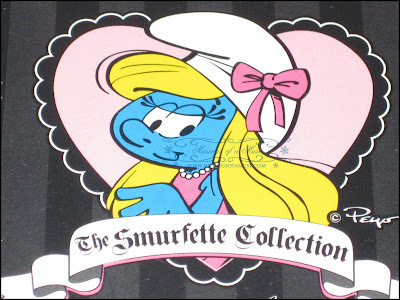 My second look was FAR from “smurfy”! 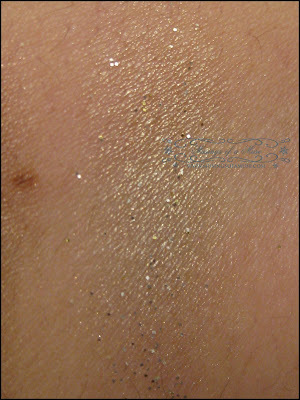 I ended up simply applying the gold shade to my lid for a little bit of a sparkling, gold look. 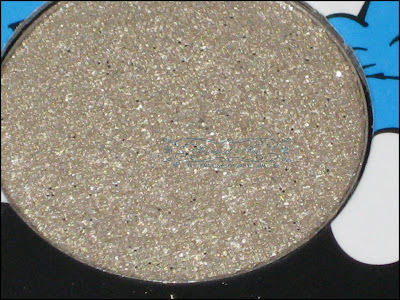 I loved the two shimmering shadows best however they are extremely gritty and fall out is of epic proportions which makes them an epic fail for application. 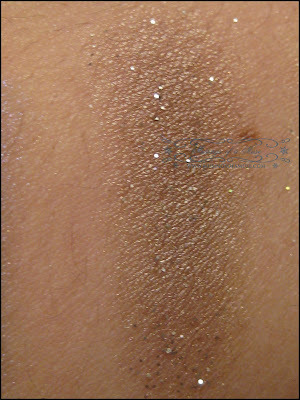 After applying concealer on top, wiping with a tissue, usingshadow shields, and just generally doing alot of clean up I still ended up having glitter just about everywhere on my face. Sad sigh. 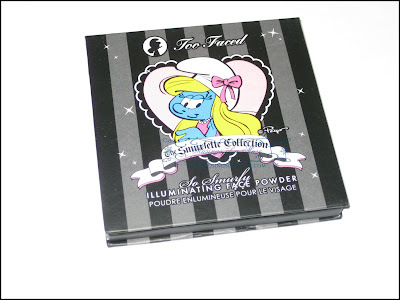 Now the packaging of the palette is super! 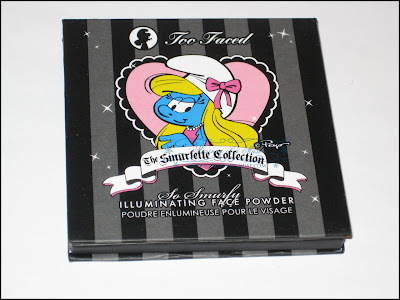 It’s pink and black with a rather cute Smurfette image on it! 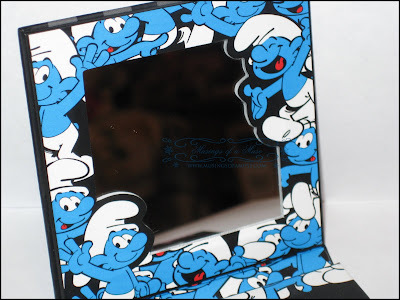 It’s a flip top palette with a nice size mirror. 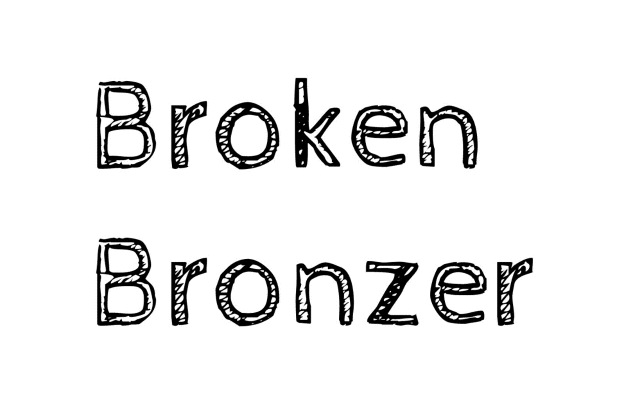 I generally like this style of palette because it cleans up fairly well and stores quite nicely. However, packaging aside, I felt like the quad just wasn’t exactly what I expected. 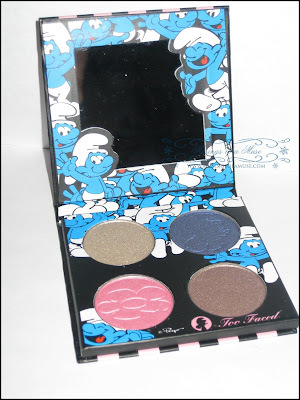 A difficult time applying the shadows due to formula and problems with a mix match of strange colors left the Muse feeling a little less love for the Too Faced So Smurfy Eyeshadow Palette. 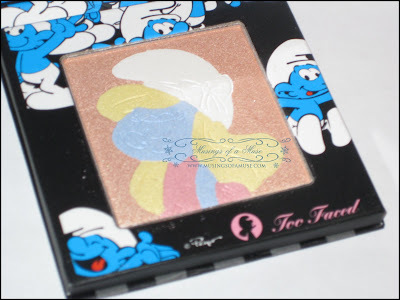 After all the woe of the shadow palette at least I can happily say that the Too Faced So Smurfy Illumination Face Powder was quite lovely! 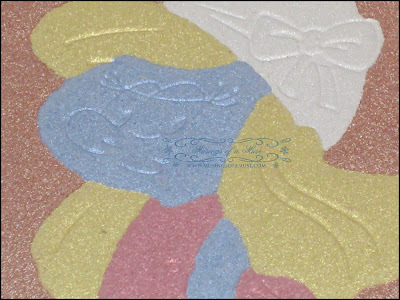 This palette contains soft pastel blues, yellow, white, and pink which created a soft focused look when applied on the face. 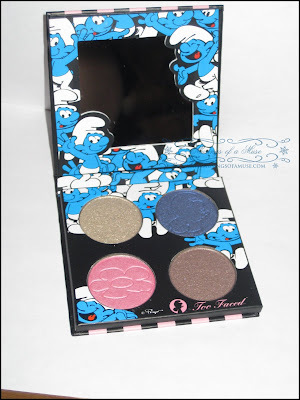 The palette is embedded with Smurfette’s smiling mug and is just too sweet! 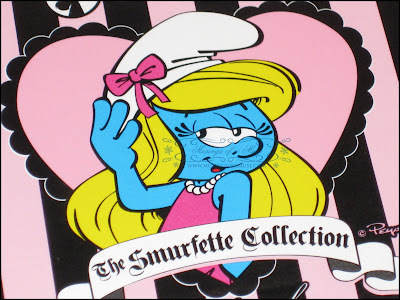 I’m positive the first thing you’ll be wondering about is Smurfette’s smiling little face….in answer to your concerns about whether or not the emblem wipes away with one brush stroke…no, it does not. 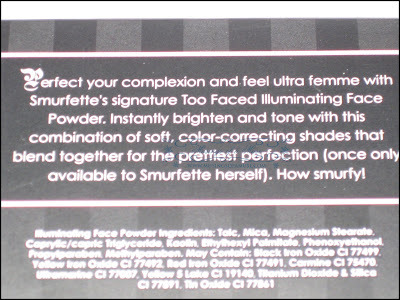 You’ll be happy to know that I’ve used it a total of 7 times and Smurfette is still smiling happily away inside although please do take into consideration that I was quite careful when stroking my brush across it plus given time she will wipe away completely considering that the emblem is very lightly sketched into the palette and not fully embedded in so to speak. 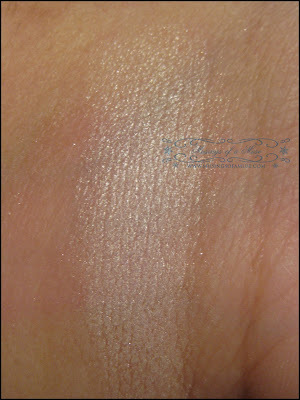 The palette is a strange mix match of pastel shades and when swatched almost appears white…however don’t let that sway you. The finished result is quite lovely. 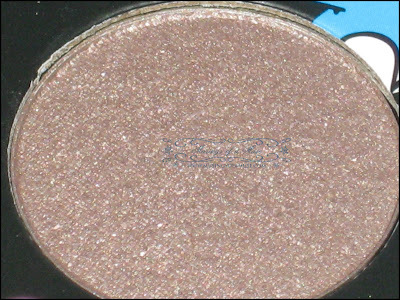 I didn’t feel like it was shimmer overload and thought it gave more of a soft focused look that was metallic like and frosty. 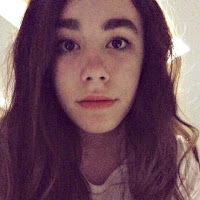 Quite pretty really. Again, the packaging is a flip top mimicking that of the quad which makes both a nice little set. 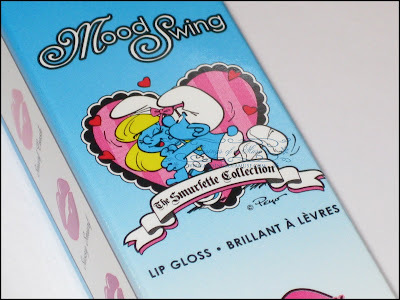 Finally I picked up the Too Faced Mood Swing Emotionally Activated Lipgloss which I really liked alot. 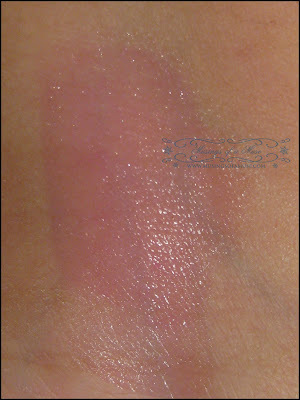 I’m not a huge fan of Smashbox O-Gloss so I was slightly wary of picking up another “color changing gloss”. 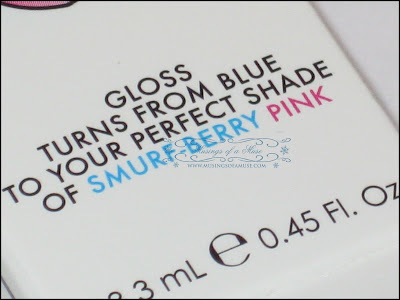 The gloss is supposed to change to a suitable smurfy shade for your lips! Gotta love it. 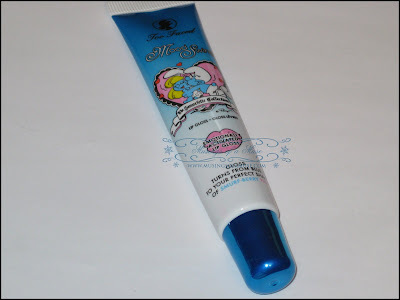 It starts out a shimmering blue shade but on my lips it ended up turning a super bright pink! Likey! 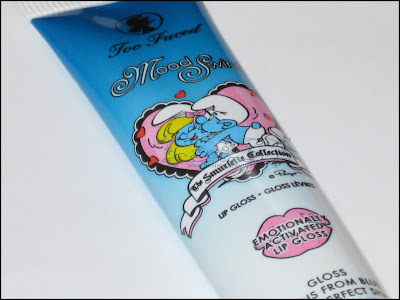 The formula isn’t nearly as nice as my beloved Too Faced Mirror Mirror gloss but it has plenty of shine and lovely glossy finish! 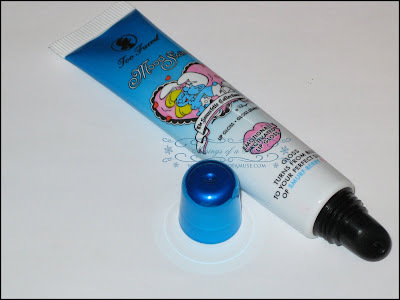 I simply adored the novelty of it starting out blue and later changing pink. So cutes! 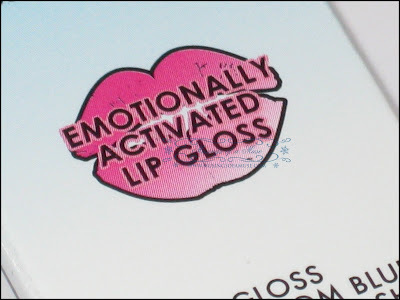 Works quite well at giving a deeper shade of pink when compared to Smashbox O-Gloss and also lasts a good deal longer with a glossier finish. The gloss has a nice, fresh berry flavor! Yummy! 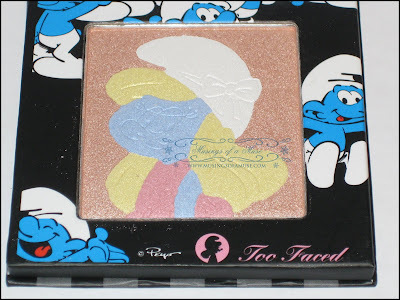 Overall, I think the collection is a great little collector’s item but I did find the palette lacking a tad bit although it is unquestionably pigmented, I just ended up having a hard time using it, blending with it, and having other general woes. 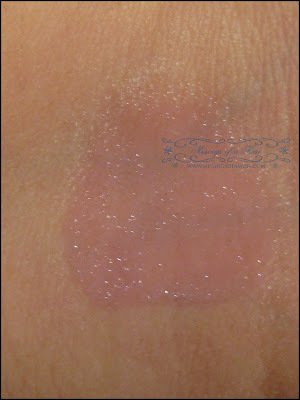 Aside from that I absolutely loved the highlighter and the new gloss and think they are well worth picking up!